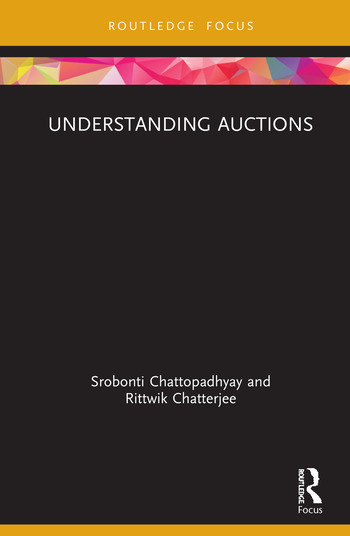 The book elaborates the basic principles of Auction Theory in a non-technical language so as to make them easily accessible to even those not trained in the discipline. Auctions as allocation mechanisms have been in use across the world since antiquity and are still employed in different countries for purchase and sales of a wide range of objects, both by Governments and private agents. Auction has gained popularity over other allocation mechanisms since the rules of auctions are very precise, involve much less subjective judgments compared to other alternative allocation mechanisms and lead to a more efficient process of discovering the true willingness to pay of the buyers. Moreover the principles of Auction Theory are used in other contexts, e.g. in designing contests, controlling emission levels through allocation of permits and licenses etc. This book is part of the series: Routledge Focus on Management and Society. Srobonti Chattopadhyay is Assistant Professor in Department of Economics at Vidyasagar College for Women, Kolkata, India. Rittwik Chatterjee is Assistant Professor in Department of Economics at the Centre for Studies in Social Sciences Calcutta, Kolkata, India.